We are delighted to announce that the Greek Government has banned the use of all animals in circuses following a campaign by ADI and the Greek Animal Welfare Fund (GAWF), backed by over 50 local animal protection groups across Greece. The new animal protection law also addresses a number of important issues concerning stray animals. 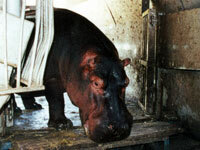 Greece is the second country, behind Bosnia and Herzegovina, in Europe to ban all animals from circuses. Austria and Croatia currently have bans on wild animal acts, and several European countries including Portugal and Denmark have measures to ban or phase out wild animals in circuses. Bolivia was the first country to ban all animals from circuses and, in February 2011, ADI completed an enforcement operation with the Bolivian authorities closing down and rescuing every animal from circuses defying the law. This included relocating 29 lions to the USA as well as rescuing primates and horses. ADI and GAWF have said they are committed to assisting the Greek Government with enforcing the ban. 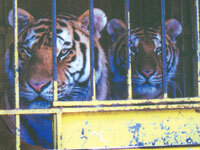 In July 2011, Peru banned wild animals in circuses following an undercover investigation and campaign by ADI. It is clear now that the days are numbered for keeping animals in travelling facilities and forcing them to do tricks in the name of entertainment. Legislation is currently being considered by the Governments of the USA, Brazil, Colombia, Chile and Ecuador. The UK will now be under considerable pressure to implement a ban on the use of wild animals in circuses, which was called for by an overwhelming vote by back bench MPs last year. The British Government had cited a legal challenge to Austria’s ban on wild animal acts as a reason for not implementing a UK ban. However, in December the Austrian Constitutional Court in Vienna announced that it had thrown out the application by Circus Krone to overturn Austria’s ban.